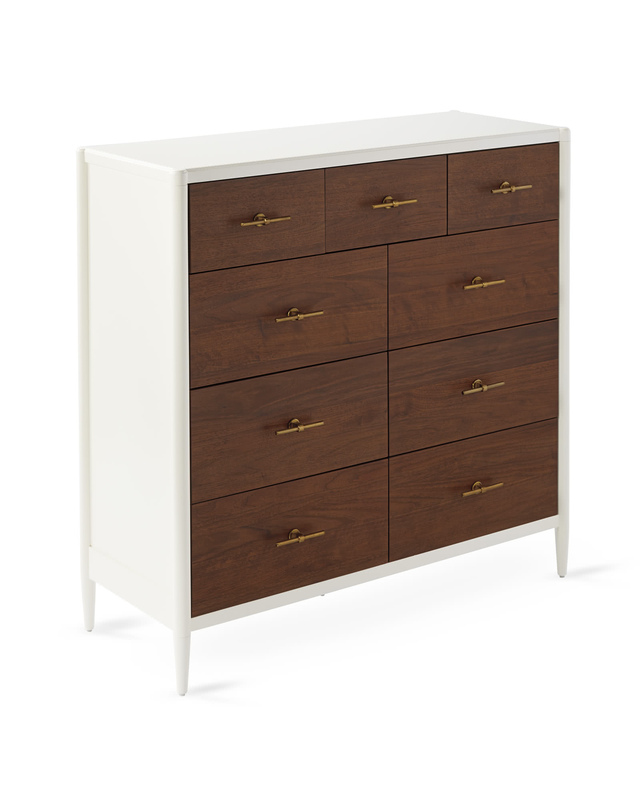 Graham Tall DresserGraham Tall Dresser, alt="Graham Tall Dresser, "
Print Palette, pulls, profile – this is modern at its best. The warmth of walnut with the crisp clarity of white paint is pitch-perfect for that smart yet approachable vibe we crave. Exclusive to us, the beautiful brass-cast handles harmonize with the pared-back lines. 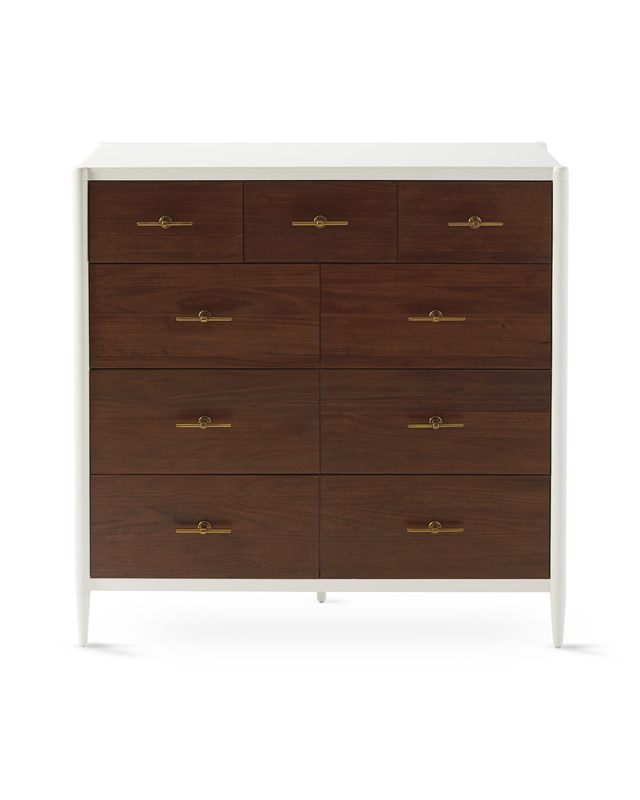 Everything about the simplicity is absolute artistry, and the drawers offer ample room for storage. Walnut veneer and brass drawer pull. 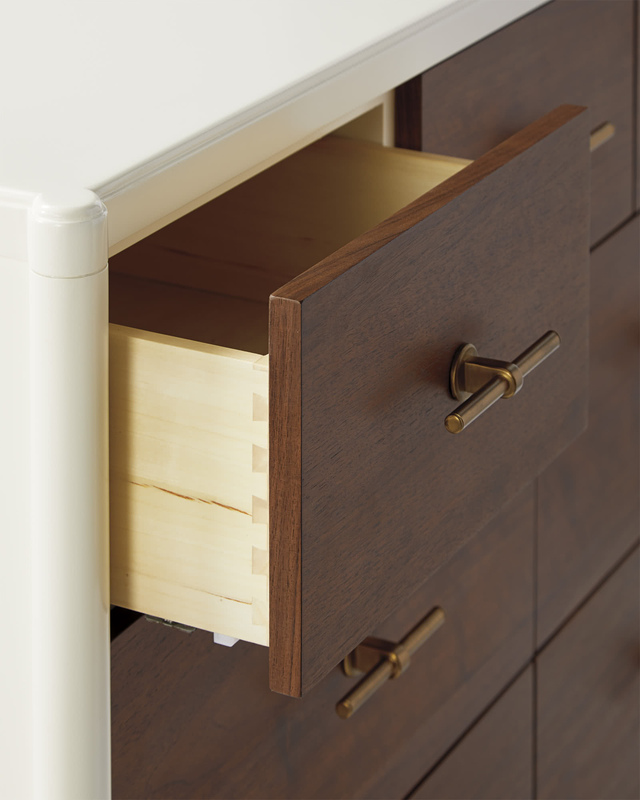 English dovetailed drawer features a soft-close mechanism. 46"W x 18"D x 45"H overall. Small drawer interior: 12.5”W x 13.5”D x 4.5”H. 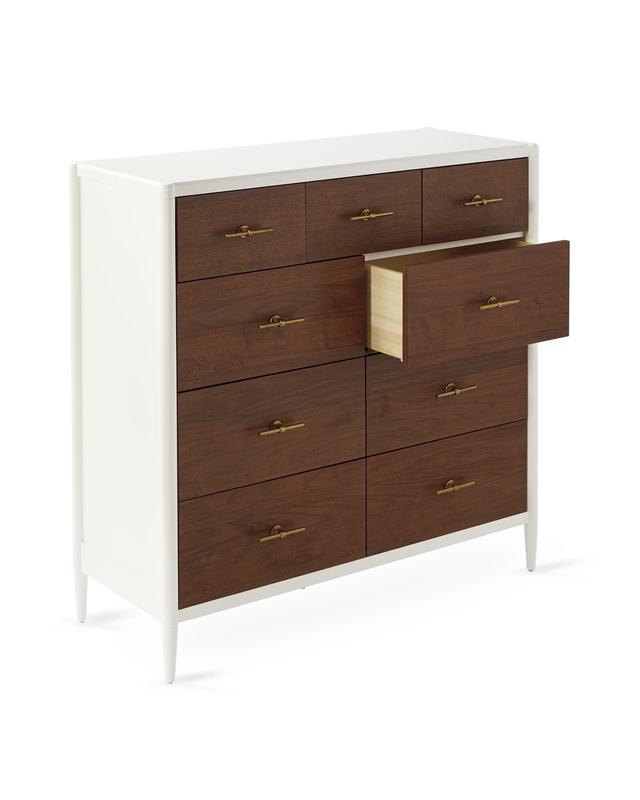 Large drawer interior: 19.5”W x 13.5”D x 7”H.